The cycle of readings at Mass throughout the year has been established by the Church; more specifically, with the Second Vatican Council’s reform of the Liturgy, and by the authority of the Pope, a new Roman Missal and Lectionary has been established. There are two cycles of readings: weekdays and Sundays (feast days). The weekday readings are on a two-year cycle (I, II) except for Lent and Advent, when the readings are the same every year. The Sundays are on a three-year cycle (A, B, C), supposedly because during the time of Christ the Sabbath readings in the local synagogue were also on a three-year cycle, and in the Church we try to do what Jesus did. 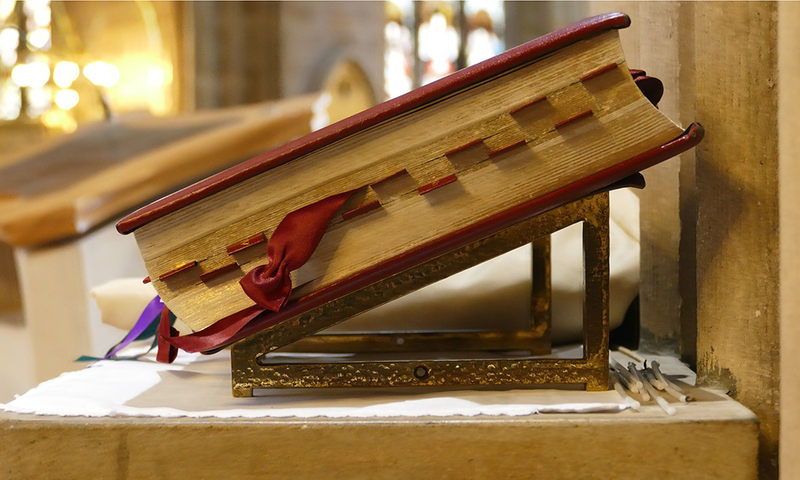 Vatican II reforms introduced a much wider variety of readings for the Masses because of the Church’s desire that Catholics know a lot more of sacred Scripture. Although the cycle of readings has been established by the Church, there is room for choice depending on the occasion. For instance, the readings for a funeral Mass on a weekday could be selected from Readings for a Funeral, and not necessarily the readings for that weekday; likewise with wedding Masses, etc. ; and likewise for local celebrations of local saints. All of that is set forth clearly in the “Ordo,” an official guide for the daily celebration of the Liturgy available in every diocese. Usually there is a copy of the local Ordo in the sacristy of your Church. Bring Your Children To Mass? Critical Moments: How should Catholics pray before and after Mass?